​Additive manufacturing expert 3D Systems and Georg Fischer AG’s GF Machining Solutions machine tool division have revealed their first joint solution, the DMP Factory 500, a scalable manufacturing system designed to transform metal manufacturing through simplified workflows to build higher quality seamless metal parts up to 500 by 500 by 500 mm at lower total cost of operation. Transport Module (TRM): enables efficient movement of the RPMs between printer and powder modules – reducing production time. 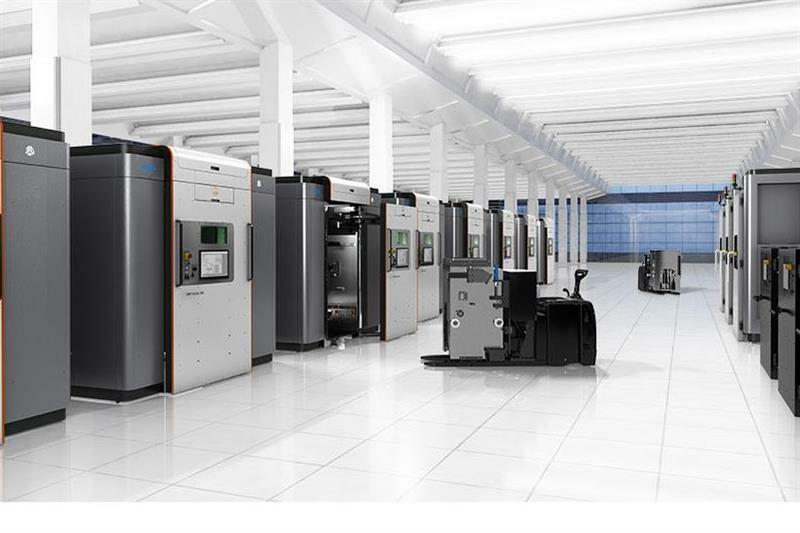 The modular design of the DMP Factory 500 enables the continuous function of all metal 3D printing and powder management modules to maximise uptime, throughput and operational value. The ability for a manufacturer to create a custom solution - matching the number and type of modules required for their production workflow - helps maximise their investment, while the integrated automation minimises manual processes to reduce total cost of operation. In addition, the DMP Factory 500 system includes seamless data connectivity with all major ERP systems to facilitate supply chain optimisation. The additive manufacturing platform is integrated with GF Machining Solutions’ System 3R referencing and clamping system. Zero-point clamping enables optimal positioning of the build plate, facilitating a quick transition from the 3D printer to post-processing steps. This integrated feature reduces set-up times and provides enhanced flexibility by quickly transitioning the build plate from the additive process and sending it downstream for post-processing, saving significant time and money. The DMP Factory 500 Solution is complemented by integrated software, including 3D Systems’ 3DXper to manage the 3D-printing workflow from design to manufacture. Additionally, DMP Monitoring facilitates real-time process monitoring to enable informed decisions on product quality. Combining 3D Systems’ and GF Machining Solutions’ sales and support networks, DMP Factory 500 customers will have access to a distribution network operating in more than 50 countries. In addition to local technical support, customers will have access to metals manufacturing applications experts at Customer Innovation Centers (CICs) in Leuven, Belgium; Denver, Colorado and Stabio, Switzerland. 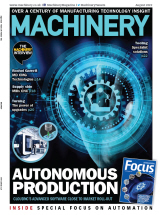 Customers will be able to collaborate with application engineers in these locations to optimise their DMP Factory 500 system to meet their unique business needs.